Tarzan and the Golden Lion picks up where Tarzan the Terrible left off. Because it's a spoiler, Scott Tracy Griffin doesn't mention in his Tarzan the Terrible summary that Tarzan and Jane's son, Korak shows up at the end to rescue his parents, but the young man is with them as The Golden Lion picks up. The three of them are returning to familiar jungle when they encounter an orphaned lion cub that Tarzan adopts and names Jad-bal-ja ("The Golden Lion" in the language of Pal-ul-don, which Tarzan seems to have taken to). When the family gets home to their estate, they find it repaired (after its destruction two books ago in Tarzan the Untamed) by their Waziri friends and some employees. Unfortunately though, WWI has depleted Tarzan's funds, so the ape man undertakes another trip to the lost city of Opar to replenish his wealth. The villain of the book is the Greystoke's former maid who has teamed up with a Tarzan lookalike named Esteban Miranda in hopes of also getting gold from Opar. Shenanigans ensue and Tarzan ends up rescuing La from her own subjects and escaping into the neighboring valley. There, they're captured by the bolgani, a race of talking gorillas, but neither Esteban Miranda nor Jad-bal-ja are out of the story just yet. Griffin doesn't provide a lot of background detail for The Golden Lion. It looks like after Tarzan the Terrible, Burroughs found a groove and kept on writing. Griffin does offer a supplementary chapter on lions though. Burroughs was extremely fond of them (and even had a couple of cubs as pets at one point, given to him by a film producer) and worked them into all but two of the Tarzan novels. He also included them in his other work like The Lost Continent and even created a cult of lion-worshipers in Thuvia, Maid of Mars. 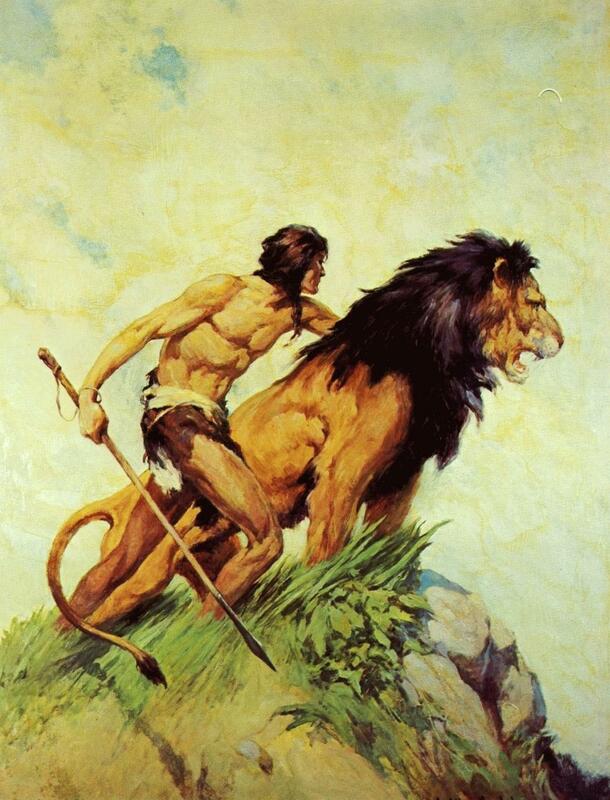 Though Tarzan starts off in an adversarial relationship with Numa (a name Burroughs believed he subconsciously cribbed from a Roman emperor) in the early books, he forms a bond with a black lion in Tarzan the Untamed. And Jad-bal-ja of course would become a lasting companion, reappearing in several other novels later on, including the one we'll look at next.